I’ll admit that I’ve warmed up pretty quickly to the Osmo Pocket. The original post from earlier today is pretty skeptical, owing in no small part to the price point. And while I stand by the earlier assessment that $349 is prohibitively expensive for the consumer market the company appears to be going after, I’ve become fairly enamored after a couple of hours with the device. We plan on doing something a bit more thorough with our video team in a couple of weeks, but in the time I spent with the Pocket after today’s announcement, I see a lot of potential here — particularly in the hands of far more capable videographers. That’s not to say that this is a pro-level device. In fact, it’s intended to be the opposite. 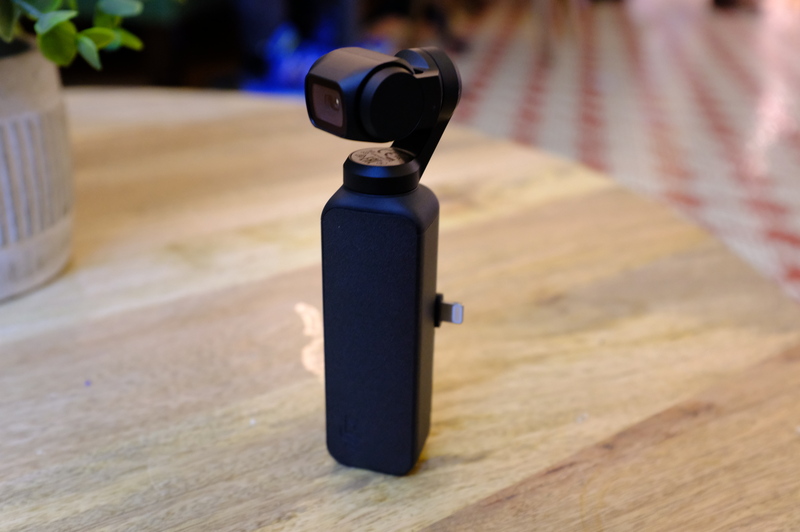 In spite of essentially costing double the standard Osmo, the Pocket is intended to be a more democratized take on the category — kind of the DJI Spark of the hand-held gimbal category. As such, it leans pretty heavily on pre-created scenes, ones similar to the kind you’ll find on the Mavic drones. They’re pretty straightforward — and certainly the Osmo Pocket has far fewer points of failure than a drone. Among other things, if you manage to crash it into a tree, that’s entirely on you. Out of the box, you download the app, plug the Lightning or USB-C dongle into your phone and choose a scene. From there, it will walk you through the process of shooting and then neatly package it up, complete with edits and cheesy music. It’s basically pre-made for sharing on social. And that’s really the core audience for a product like this. Serious shooters likely won’t be super inclined to lean heavily on the device, but with pretty minimal effort a first-time shooter can create some impressive stuff. I mean, I captured a bunch of neat-looking footage after puttering around the Times Square subway station for an hour. That’s just commuters coming and going. You can imagine the sort of stuff you can grab when embedded in a more inspiring locale. And the miniature size means you can maneuver it into tighter spots. 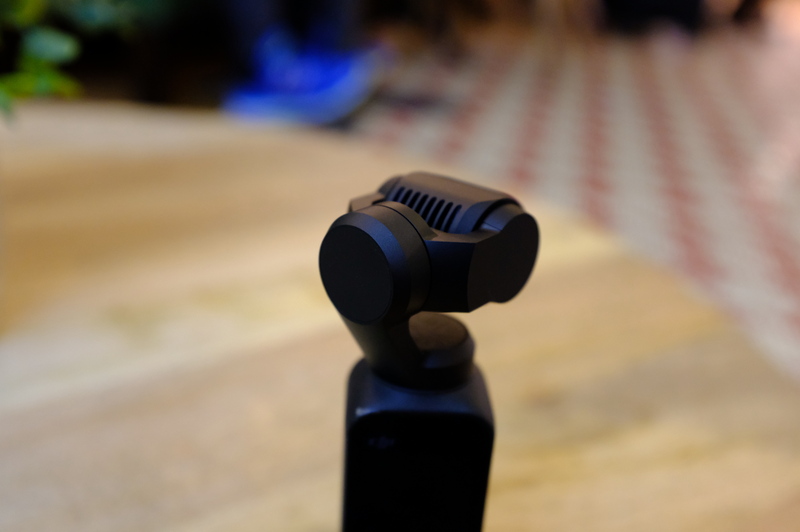 It’s not likely to serve as a GoPro replacement, but a bunch of optional cases and mounts mean you can probably pull off some interesting action cam-style shots. The product certainly has the underlying technology to create some impressive and innovative shots. The pre-loaded scenes lower the barrier of entry, but pro users can customize things plenty, while the built-in display means you can do live shots without tethering to the camera. The screen is small, however, and what you’re able to accomplish on it is still pretty limited. I stand by my earlier assessment that the Pocket is a product without a clear audience, particularly given the price point. Given what it can do, however, it’s sure to find a devoted fan base.